Because the 3,500-year-old Jewish Story still speaks to life today. meets art, culture, media, beauty, justice, and joy. Deeply moved by the experience of directing Schindler’s List, Steven Spielberg donated his portion of the film’s profits to build and support a meaningful and relevant Jewish community. To that end, he established the Righteous Persons Foundation (RPF), which has made more than $100 million in grants—and been supported by additional profits from the films Munich and Lincoln. For more than two decades, RPF has funded innovative approaches that help bridge the divide between people of different backgrounds; galvanize the power of the arts, media, and storytelling; preserve Jewish history and traditions and make them accessible for generations to come; build on the Jewish value of justice to inspire social activism; and ensure that the moral lessons of the Holocaust are not forgotten. On January 27, International Holocaust Remembrance Day, UNESCO screened Who Will Write Our History? at their Paris headquarters while the film was simultaneously screened for viewers around the world. Filmmaker Roberta Grossman partnered with a number of non-profits on this event, including the USC Shoah Foundation, YIVO, USHMM, and more. The film, which was supported by RPF and based on the book by Samuel Kassow, tells the story of the secret Oyneg Shabes Archive. With 30,000 pages of materials, this archive documents not only how the Jews of the Warsaw Ghetto died, but how they lived. On December 7, Universal Pictures marked the 25th anniversary of Schindler’s List by re-releasing the film in theaters nationwide. To spark critical conversations about how the film’s broader messages connect to the issues of today—especially among young people—RPF partnered with the USC Shoah Foundation and Facing History and Ourselves to create updated resources for teachers to use in their classrooms. In addition, nearly 10,000 students attended educational screenings of the film in theaters across the country. The Righteous Persons Foundation has made public its most recent list of grantees. 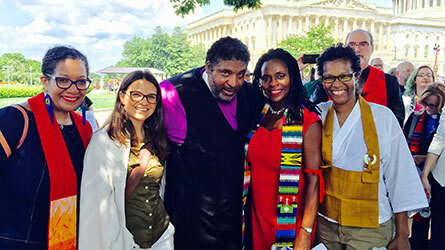 The group includes The Poor People's Campaign: A National Call for Moral Revival (pictured above), Union for Reform Judaism, Faith in Action (formerly known as PICO), the Jewish Emergent Network fellowship, OneVoice on Campus, One America Movement, Asylum Arts, and the Yiddish Book Center. Learn more about these grants at the link below. On the fourth night of Passover, Broadway stars Adam Kantor and Benj Pasek produced a Seder filled with musical performances, poetry, and storytelling curated to fit the holiday’s core themes and make them relevant for today. The 100-person event, which was underwritten by Reboot, an RPF grantee, also showcased the life story of Al Samawi—a multifaith advocate who escaped Yemen in 2015 and attended the Seder—giving new context to the Jewish story of exodus and liberation. Steven Spielberg decided to launch RPF while directing the Academy Award-winning film Schindler’s List. His vision was twofold: to recover and make accessible Jewish stories from the past, and to help build a contemporary Jewish community predicated on meaning, joy, and a responsibility to help repair our world. Spielberg initially funded the foundation with his portion of the profits from Schindler’s List. He later designated profits from his films Munich and Lincoln to the foundation as well. RPF provided significant support to establish what is now the USC Shoah Foundation, an independent institute founded by Steven Spielberg that is dedicated to recording and preserving the stories of survivors of the Holocaust (and now other genocides). To date, the Foundation has collected more than 54,000 Holocaust survivor testimonies conducted in 62 countries and 41 languages. RPF’s most recent grant supports the foundation’s New Dimensions in Testimony project, a cutting-edge initiative that works with USC’s Institute for Creative Technologies to enable future generations to engage with testimonies in an interactive way. Steven Spielberg meets with a group of USC Shoah Foundation Junior Interns during a trip to Poland to commemorate the 70th anniversary of the liberation of Auschwitz. Photograph by Steve Purcell. Because we believe storytelling is one of the most powerful tools for social change, RPF launched a fund for documentary film at the Foundation for Jewish Culture. The fund backed projects such as Sandi Simcha DuBowski’s critically-acclaimed Trembling Before G-d (2001) and Ari Folmam’s Academy Award-nominated Waltz with Bashir (2008, pictured), along with close to 100 other docs. RPF continues to support film, such as Aviva Kempner’s Rosenwald (pictured), the story of a Jewish businessman and philanthropist who helped build over 5,000 southern schools for African-American children during the period of Jim Crow. Rosenwald has been screened in hundreds of communities across the country and was shown at the White House in 2016. Seeing the need to revitalize synagogues, RPF joined the Nathan Cummings Foundation to support the establishment of Synagogue 2000, a national project to enable religious institutions to become more relevant for 21st century Jewish life. The initiative brought together some of the best Jewish minds and drew upon lessons from the likes of Disney and the mega church movement. “We are trying to learn from as many sources as possible how to create a welcome place of spiritual nourishment,” said Ron Wolfson, who co-headed the project. To continue this work, RPF went on to support the Institute for Jewish Spirituality and the first-of-its-kind national rabbinic fellowship at B’nai Jeshurun. 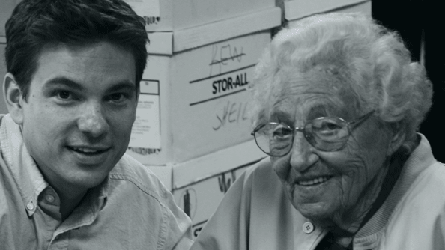 At the height of the dot-com boom, RPF joined forces with the Nathan Cummings Foundation and the Walter and Elise Haas Fund to develop Joshua Venture, an organization dedicated to fostering the next generation of Jewish innovators. 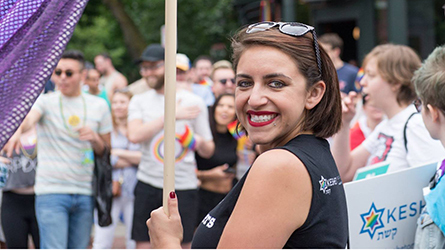 Since its launch, Joshua Venture Fellows have gone on to helm a variety of projects—from a new Jewish magazine to a support network for young Jewish women with breast cancer to an initiative to make Jewish life more welcoming to LGBT youth. Reboot—a network of Jewish creatives co-founded by RPF and the Andrea and Charles Bronfman Philanthropies, began with a question: What would happen if we brought together some of the most creative young Jews in art, technology, activism, academia, and business and gave them a space to examine what Jewishness means today? 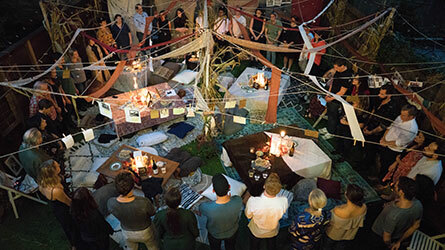 The result is a network of more than 500 individuals and the creation of countless projects to make the Jewish experience more relevant—from an international design competition to re-imagine to the sukkah to a Jewish archival record label to a digital forum for introspection during the high holy days. To date, hundreds of thousands of people have been reached by Reboot projects, both directly and through Reboot’s partnership with more than 800 community organizations. 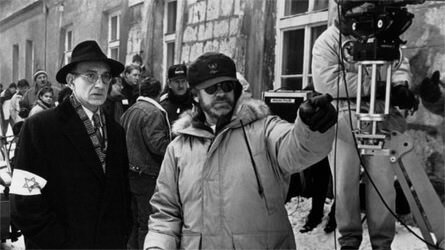 Just as he had a decade earlier with Schindler’s List, Steven Spielberg committed his profits from the film Munich to RPF, designating an initial $5 million to establish RPF’s Media Fund for Co-existence. He did so based on the belief that media plays a powerful role in humanizing the “Other” and to amplify voices of moderation. 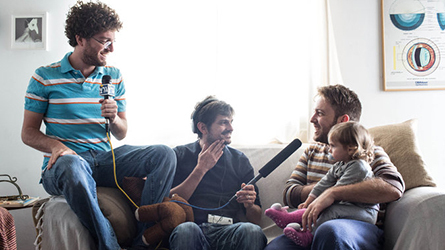 With this fund, which has expanded beyond the original designation, RPF supported such projects as Arab Labor, an award-winning Israeli sitcom by an Arab Israeli journalist about his life in Israel; Israel Story, a radio show and podcast reaching millions of Israelis and audiences around the globe; and Greenhouse, a project that brings filmmakers from across the Mediterranean together. 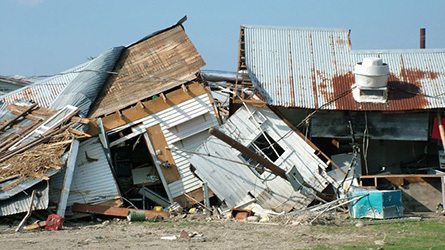 RPF responded to the devastation of Hurricane Katrina by funding volunteer service trips to New Orleans organized by Jewish Funds for Justice (now Bend the Arc). With our support, nearly 1,000 college students inspired by the Jewish value of social justice traveled to New Orleans to clean up neighborhoods, tear down old structures, and renovate homes. As a way to address the ongoing and long-term challenges of that city, RPF also provided mulit-year support to Avodah’s New Orleans program, which has young Jews committing a year of service to local organizations that address poverty, educational inequity, and juvenile justice reform. In addition to supporting organizations over the years that provide aid to Holocaust survivors, RPF helped Bet Tzedek launch the Holocaust Survivor Justice Network, a nationwide team of attorneys who work pro bono to help survivors of the Shoah access reparations from the German government that are much needed but difficult to get. The network, which has helped more than 5,000 survivors secure an estimated $25 million in reparations since its founding, is now working—with the continued support of RFP—to double those figures in the next four years. 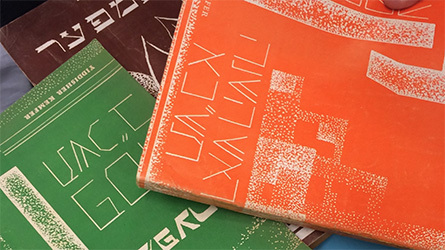 Yiddish books provide a rare window to the rich and varied culture that in many ways was lost during WWII. Yet, as the generation of native Yiddish speakers passed away, these books were often discarded. So, in 1998, RPF became the lead funder of the Yiddish Book Center’s ambitious effort to preserve all of Yiddish Literature. The result was the Steven Spielberg Digital Yiddish Library, which includes digitized copies of all the books in the center’s collection (over one million books, with over 11,000 distinct titles)—all of which are accessible online. A decade later, RPF began funding a growing network of fellows who are now translating these important works into English so that a new generation can access these treasures. 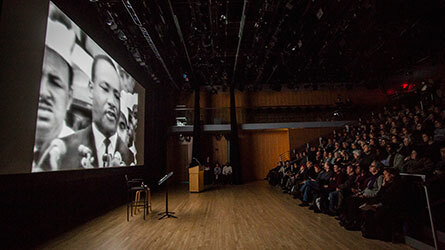 RPF helped bring artist Peter Forgacs’ critically-acclaimed multimedia project Letters to Afar to the Contemporary Jewish Museum in San Francisco and, later, to the Museum of the City of New York. The work, based on home movies made by Americans visiting the “old country” right before WWII, provides an intimate look at Jewish life in cities like Warsaw and Vilna along with small towns and shtetls. 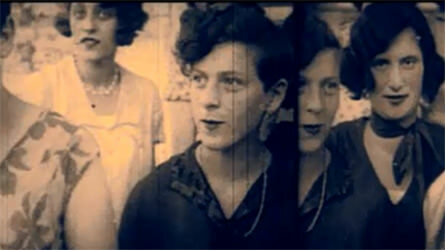 Forgacs culled this video footage (some of it digitized years before with support from RPF) from YIVO, one of the premier Jewish archives the foundation supports along with the Steven Spielberg Jewish Film Archive at the Hebrew University of Jerusalem and the Steven Spielberg Film and Video Archive at the United States Holocaust Memorial Museum. One surprise—color film footage from Warsaw from the late 1930s. Judaism contains so much beauty, yet the expression of Judaism often seems anything but. 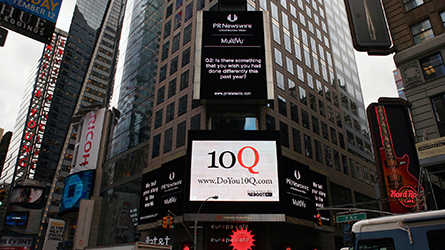 So RPF approached the iconic design firm IDEO to help do something about that. Together with Reboot, IDEO convened a group of some of the best Jewish thinkers with some of the best designers. 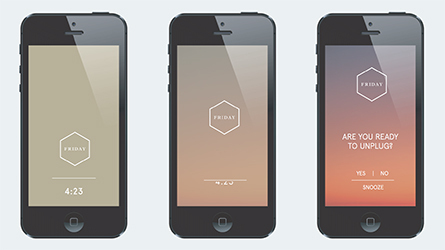 They asked difficult questions, explored shared values, and created a manifesto on “redesigning Jewishness.” Out of this work they developed “Friday,” a visually driven, Shabbat-inspired app that invites users to engage with one of the world’s oldest religions in a modern way. RPF also made it possible for PJ Library, which provides free Jewish books to children around the world, to work with IDEO on engaging new parents. 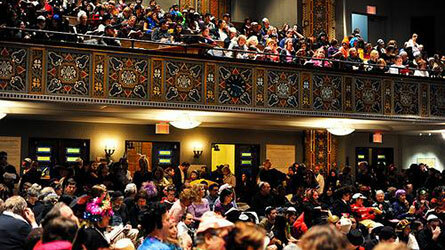 RPF has long funded arts and culture programs and projects—from a star-studded National Public Radio show featuring the work of Yiddish and Jewish writers (in 2000) to an acclaimed staging of Paula Vogel’s Indecent at Yale Repertory Theater (in 2015) to Asylum Arts, an international collective of Jewish artists. In an effort to bring more attention and much needed philanthropy to this area of funding, RPF partnered with Partners in Performance and the Jewish Funders Network to create a report on the importance and power of Jewish arts that was distributed to more than 400 foundation professionals at the 2016 JFN conference in San Diego. This study was only a first step to inspire broader—and more impactful—support from the larger community. In 2017, RPF made grants to advance social justice, combat hate, bring people together across lines of difference, and raise up moral voices—work that speaks both to the foundation’s 23-year history and a deeply divided time in American life. In addition to helping teachers raise a generation of upstanders (via Facing History and Ourselves), engaging American Jews around immigration (via HIAS), and helping more churches, synagogues, and mosques provide sanctuary to undocumented people under threat of deportation (via Church World Service), RPF invested in amplifying the messages of interfaith leaders calling Americans to our highest selves (via Auburn), studying and fighting anti-Semitism and other forms of hate (via ADL and Political Research Associates) and bringing diverse groups of people together in meaningful ways (via Encounter, StoryCorps and The People’s Supper). Together, these grants reflect RPF’s commitment to a future that’s more just and inclusive.